Jamaica College is committed to ensuring that every student learns and succeeds. Our Mission is to enable our students to become outstanding well-rounded citizens, leaders and gentlemen of distinction who excel in their chosen areas of endeavour. Jamaica College is the secondary school of choice in Jamaica for young men, teachers and support staff; characterized by a culture of excellence in a safe, spiritual, nurturing and technologically driven environment. Bless O, Lord this College. Create among us a spirit of comradeship and loyalty to one another. When we are called to obey, let us obey with willingness. When we are called to serve, let us serve with gladness. When we are called to rule, make us rule with justice. Drive away from us all ignorance and hardness of heart. All things dishonorable and unclean. Build us up in body, mind and spirit Until we come to the full stature of the perfect man, Jesus Christ our Lord. The left half of the Shield represents the Red Cross of England with five Golden Pineapples that represent Jamaica. The right half of the Shield holds a copy of the open Book, a Bible/Text representing study and below the Griffin, a creature from ancient mythology, with the body, tail, and back legs of a lion; the head and wings of an eagle; and an eagle’s talons as its front feet. Because the lion was traditionally considered the king of the beasts and the eagle, the king of birds. The griffin was thought to be an especially powerful and majestic creature. The griffin was also thought of as king of all creatures. Griffins are known for guarding treasure and priceless possessions; Jamaica College! 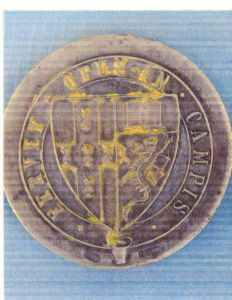 The School Motto, “Collegium floreat, fervet opus in campis”, “May the College flourish, work is burning in the fields” has more than a physical connotation. The critically important word is “fervet”, from the Latin, “Fervere” to boil or glow. But what does it really mean? One author translates “fervet opus” as “the work is hotly plied”. The burning or glowing of work in the fields connotes a passion and intensity in the work effort – a buzz and swirl of activity, a veritable beehive of productivity. The Motto therefore seeks to elicit from those of us in the JC family a commitment to an effort, characterized by the kind of zeal and passion that will produce the environment of excellence in which the College will flourish. JC! JC! Yes, yes, yes! HOORAY! To provide the highest quality curriculum delivery and student outcome. To provide multiple pathways for students to develop their potential, talents and abilities. Promote stronger stakeholder partnerships that support student development. To improve infrastructure and systems that support student achievement.